Chelsea has just arrived, so we are getting to know her right now. 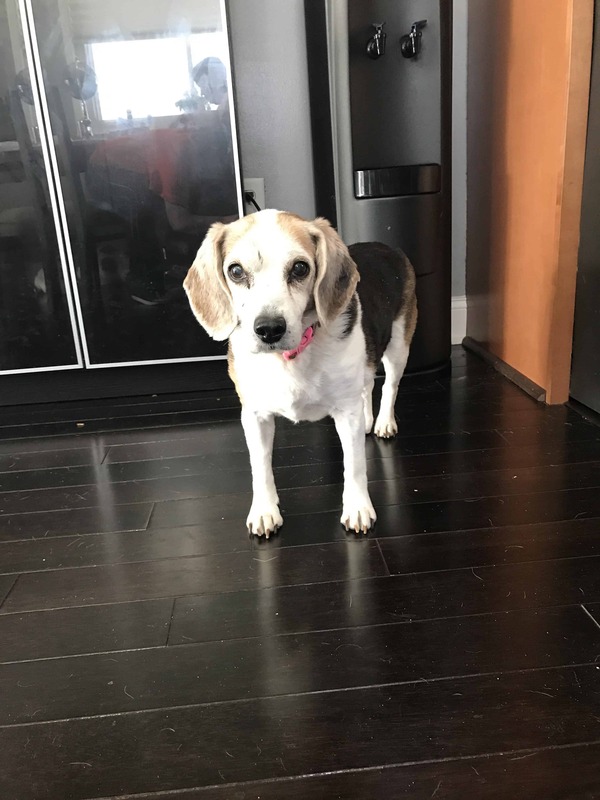 She is a very sweet 13 year old beagle. She appears to be blind and hard of hearing as well. She loves attention! Belly rubs are a favorite of hers. She likes to be around her humans. She lives with 2 other dogs and she does well with them. They are blind as well, and when they bump into her, she isn’t bothered at all. She is a foodie, and her beagle nose finds food! She eats and sleeps in her crate and otherwise likes to lounge around. She lets you know when she has to go out. 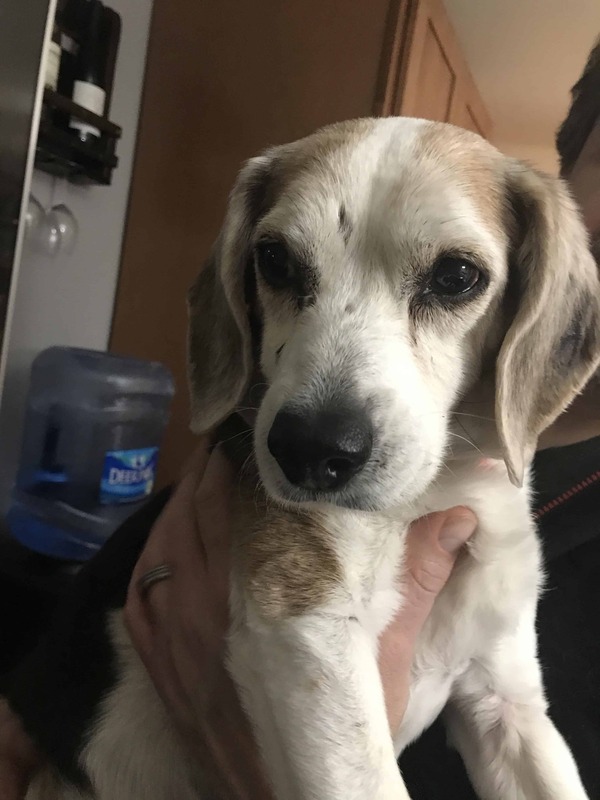 She has some old lady lumps, but the vet at her previous foster has checked them, and they’re just benign fatty lipomas. She is such a nice old dog who just wants some belly scratches and treats, and a nice warm bed! Chelsea is looking for her forever home. If you think it could be yours, read more about Adopting from BDRA before submitting your application below. BDRA relies on your donations to rescue blind dogs around the United States. Please consider giving in support of Chelsea.